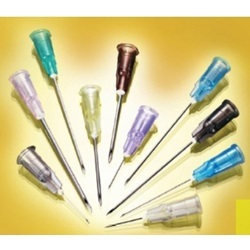 Disposable Flomax hypodermic sterile needle without safety, 25 gauge 1 inch. Comes in a box of 100. 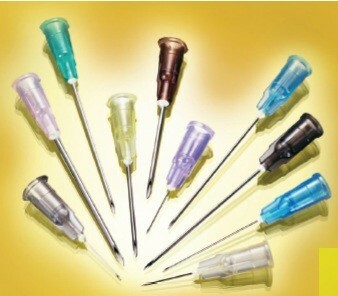 Manufactured by Nipro Medical. Translucent Blue base with stainless steel needle, lancet point, and standard luer connection.